I love them so much! And you think sort of the same way I think. I’m always trying to shove odd items into dessert. Brava, Jeanne! And I’m so glad you enjoyed BHF! I love trying weird new combinations. Pioneer or bust, baby! Chilies and chocolate have been bed fellows for a while, why not the peanut? These sound yummy. I bet it’d be good in fudge drop cookies too. Ooo… I’ll bet you’re right! May have to make a batch for Thanxmas this year. You did whaaaa? See…this is a cookie that is meant to be. Because why wouldn’t this make sense? Mmm! The Heat is On is one of the last PB Co. flavors I have to try. Making my way through a jar of the Mighty Maple right now, mmm! That Mighty Maple is fantastic stuff! I hope you can find a jar of ‘The Heat is On’ so you can try it. If not, you can always order it directly from Peanut Butter & Co on their website. They offer frequent specials and discounts and ship direct to your door. Woot! I’ve never seen this peanut butter before. I love that there are so many unqiue flavors to choose from. I’ll take a dozen of those delicious cookies you made and a quart of milk – please! Hahaha… sorry, Eileen. I learned my lesson during this year’s Bake Sale for Beka event – don’t offer to ship cookies that are dipped in chocolate during the summer. It’s no bueno in our heat. And also very expensive. 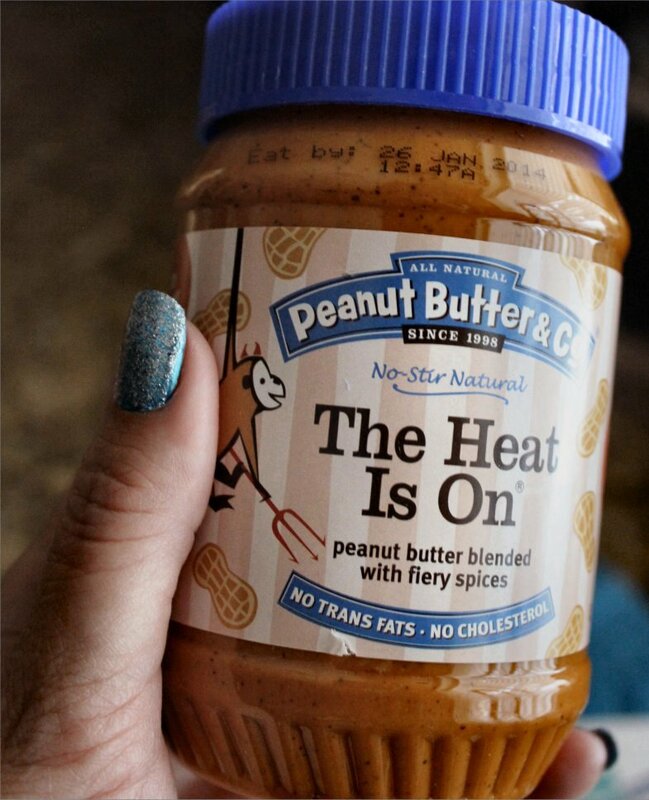 You need to find this peanut butter so you can experiment. If it’s not in your local stores, it can be ordered via their website. Go for it! 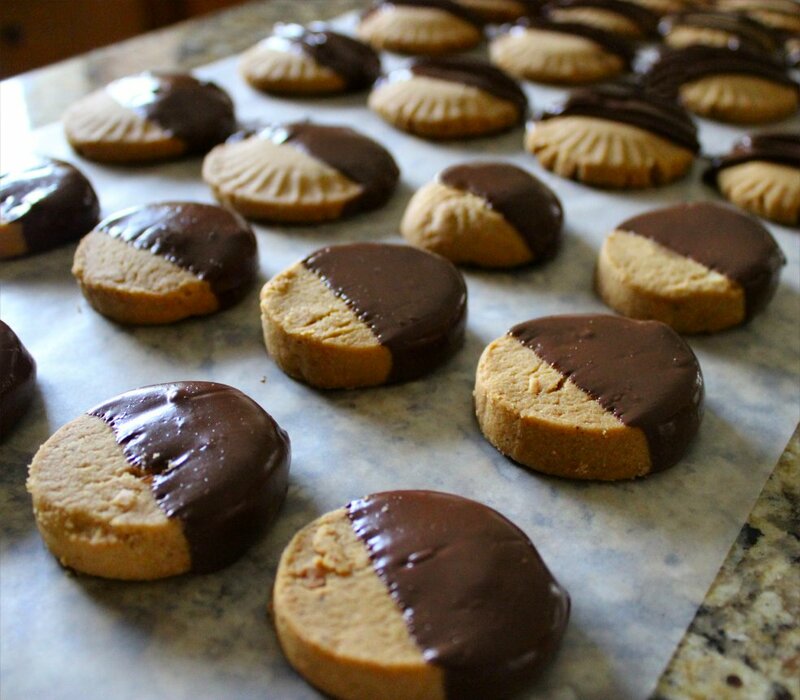 I love that dark chocolate PB! These are so darn pur-tee! Holy wow I want a dozen wrapped up in a sweet lookin’ package. I NEED to get my hands on a jar. 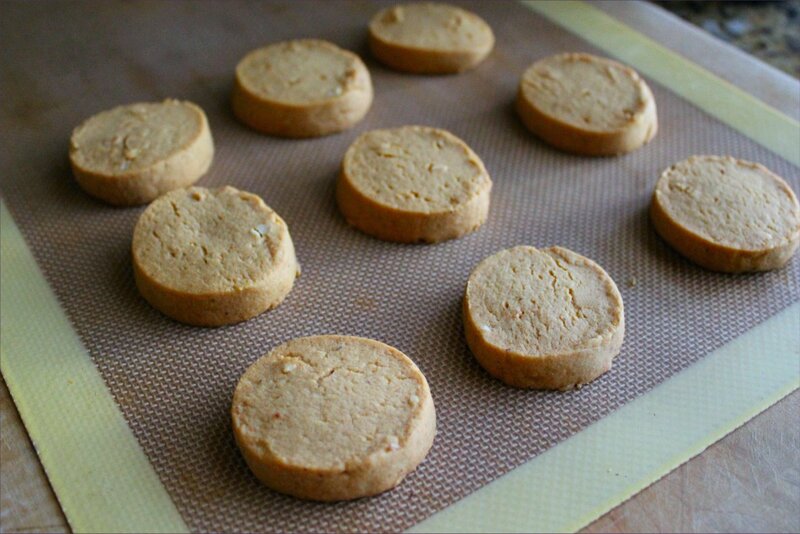 These cookies need to make an appearance in my oven as soon as I get myself a jar of the spice PB. 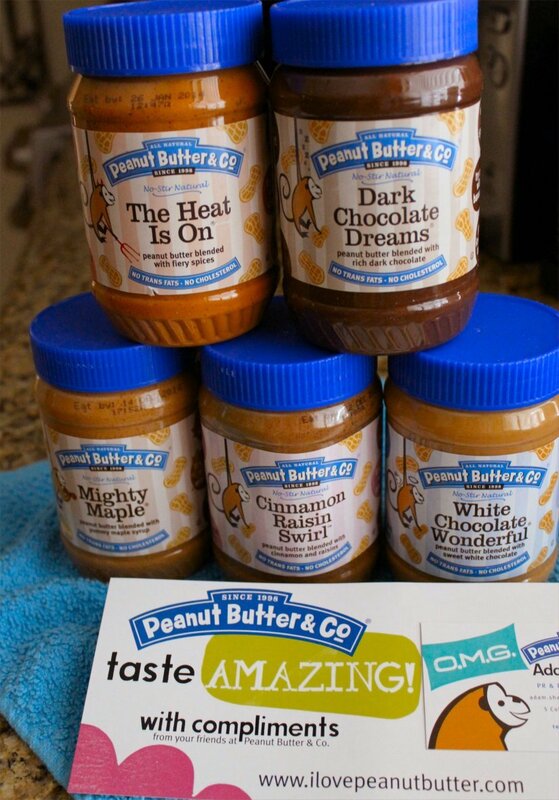 I am so CRAVING PB NOW!!! I love peanut butter too! Yum!!! Those look delicous! Hi, Kaitlyn! Thanks for the follow! Love your blog – your boys are adorable! Anne, check the bottoms of the jars in your pantry! I actually found a jar of fruit that had a great pattern in the bottom of it. I suggest a jar safari the next time you’re digging through your pantry. You never know what you might find! As for additional peanut butter recipes, I’m already considering how to work that Mighty Maple into a banana pancake recipe. Care to join me? 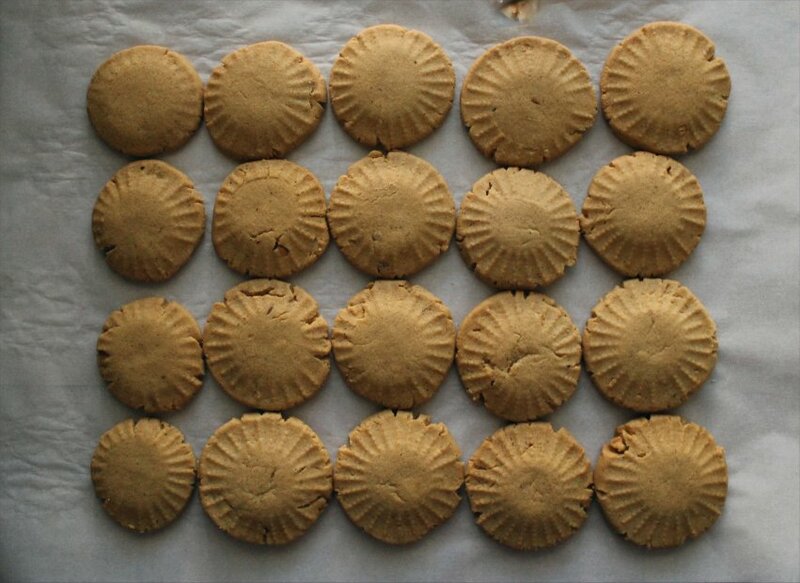 Jeanne,these are gorgeous and inspired shortbread cookies! I LOVE shortbread for the variety of flavors possible and their incredibly long shelf life. 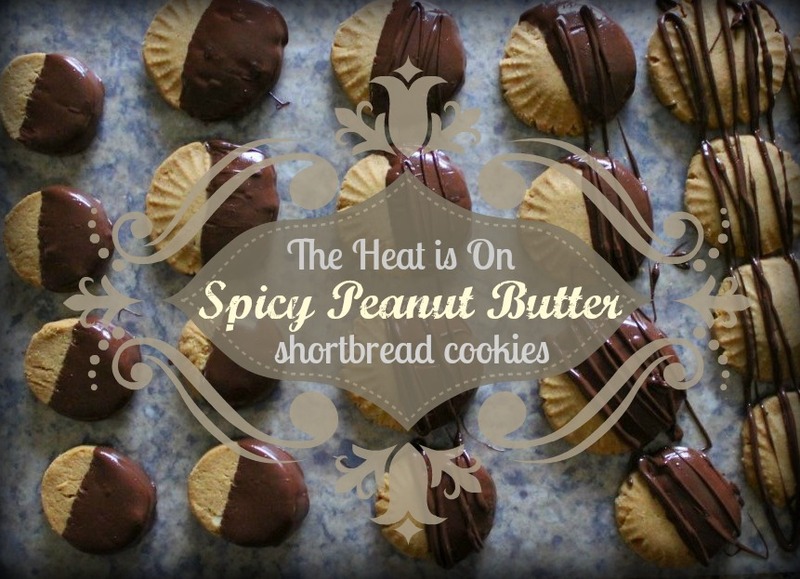 I never would have thought of using spicy peanut butter in a cookie but your flavors sound wonderful. 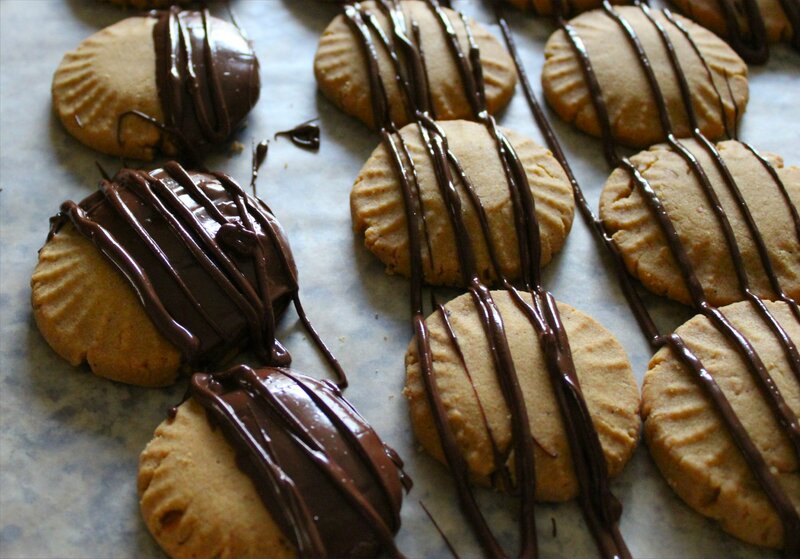 I will be trying them as soon as I find a jar of that peanut butter! The Peanut Butter and Co. chocolate flavor has saved me from nutella envy. :) I am allergic to tree nuts but not peanuts. 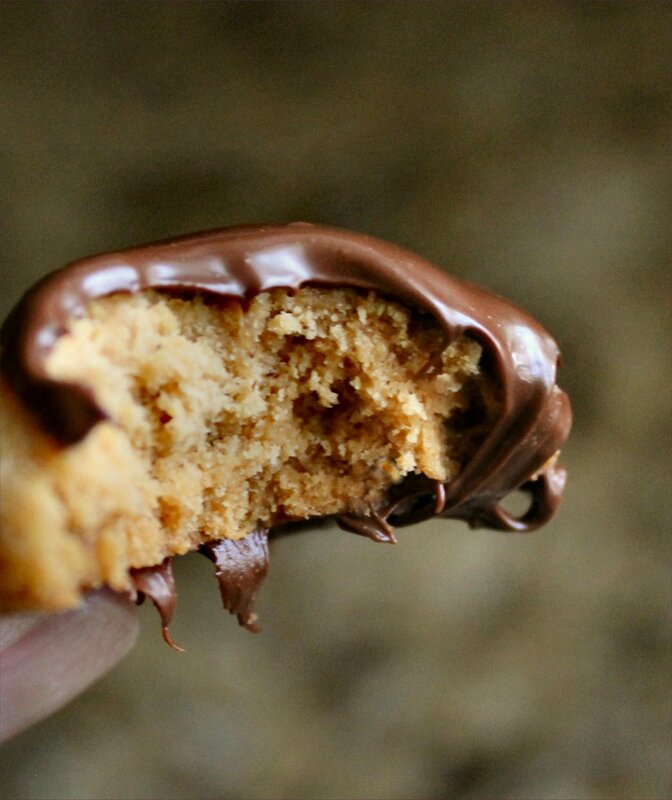 I sub the chocolate peanut butter successfully in most nutella recipes. The only difference to account for is the chocolate peanut butter has less sugar than nutella (and some actual nutritional value as opposed to nutella!). I recently went to my first blogging conference too! Mine was a fraction of the size of BlogHerFood and I was still nervous! :) I would love to be able to go to a BlogHerFood conference in the future. I probably would have thought I’d died and gone to heaven if I received a package like that. These shortbreads sound really tasty!